We believe that security of your valuables is paramount and have taken every precaution to ensure that our facility is a safe place for your belongings. We have professional resident managers and routine security inspections are performed daily. Ultimately, security is left in the hands of our customers who provide their own locks specific to their units. We have a variety of locks available for purchase in our on-site store for your convenience or bring your own lock that you already own. Only you will hold the key to your lock so you are assured that unauthorized access to your unit is totally restricted. You provide your own lock and keep the key. 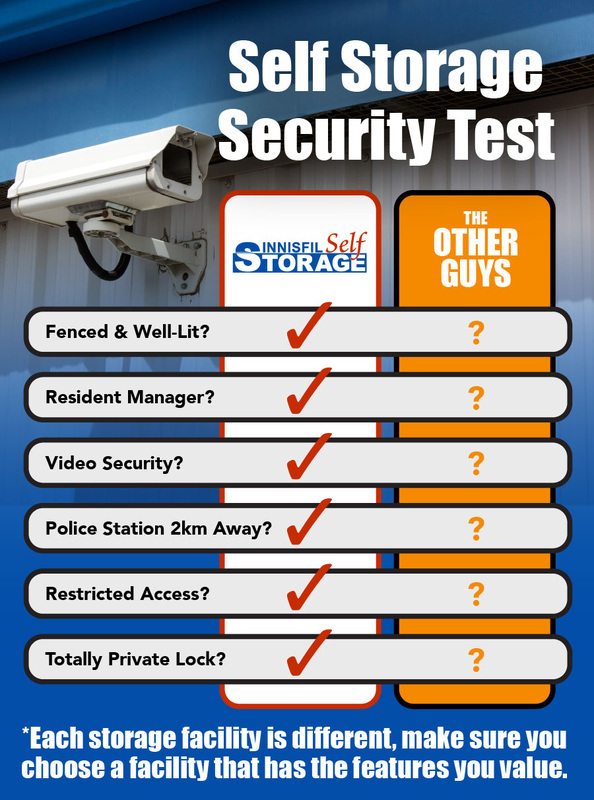 Make sure you ask other facilities about their security measures.